Pune is a beautiful city in the state of Maharashtra that is known for its low air pollution, education hubs, job opportunities, peaceful living and more. There is so much to this green city other than what meets the eye! 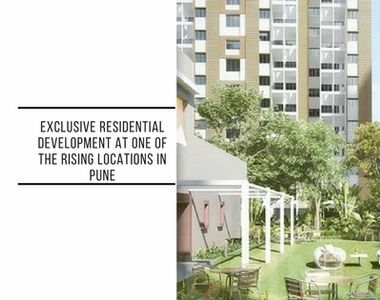 The real estate market in Pune has grown over the past couple of years with a number of residential projects throughout the city and its outskirts as well. 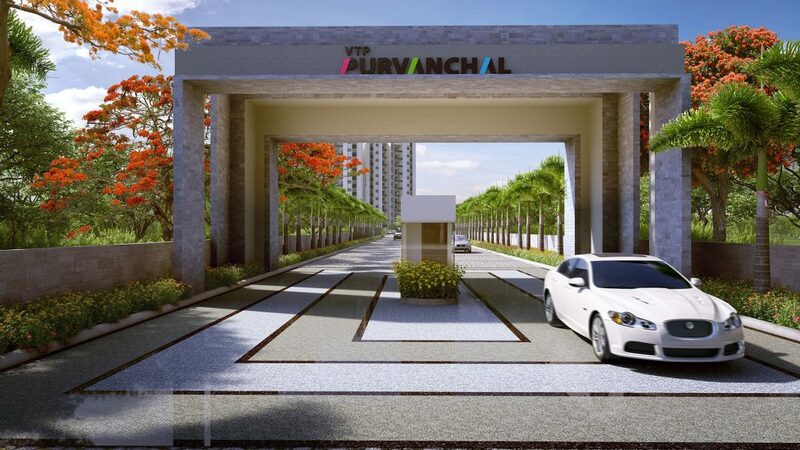 VTP Purvanchal is one of the latest residential project in Pune by VTP Group that offers a modern-day lifestyle of pure perfection! If premium luxury is what you have been looking out for, this development is the ultimate place to be! Spread over 11 acres of land, this development contains marvelous structures that offer elite variants of 1BHK, 2BHK and 3BHK luxury apartments with carpet areas starting at of 366 sq. ft. and going up to 962 sq. ft. Luxury space for all your needs and requirement is something that you will find in every apartment. This residential development is beautifully crafted to offer you the highest level of luxury and comfort every single day! You will find apartments that are well-spaced, provide natural lighting, cross ventilation and contain high-end fittings & fixtures, decorative doors, large balconies and windows providing landscape views, high-quality flooring in every room, elegant kitchens, safety features and a lot more that will satisfy your soul. This development does not run short on external amenities and offers only the best! There is something for you and every member of your family at this well-endowed development. The external amenities at this development include a clubhouse for recreation, well-equipped gymnasium to always stay fit and active, 200 m. jogging track, multiple sports facilities, dedicated tennis and basketball court, play-zone for your kids, swimming pool to take a dip and relax, theatre, multipurpose hall, wide open space for you to always feel free, gorgeous landscape garden to spend time with family and friends, acupressure pathway, shopping center, power back-up, firefighting equipment and 3-Tier security with video surveillance for an uninterrupted lifestyle. This development also takes up rain water harvesting and sewage treatment in order to conserve water and help the environment. Situated at Wagholi in Pune, VTP Purvanchal Wagholi has a number of landmarks in its vicinity and offers a lifestyle of pure convenience and comfort every day. Places like schools, colleges, institutes, banks, ATMs, hospitals, medical centers, malls, shopping centers, supermarkets, convenience stores, cafes, restaurants, public transport and a lot more can be accessed in the shortest amount of time possible. Starting at an exclusive price of Rs.26 lakhs and moving up to Rs.62 lakhs, the apartments at this development are not only affordable, but simply irresistible! Enjoy a life of premium luxury and comfort without a heavy load on your wallet. You can choose from a number of payment plans along with home loan facilities through associated banks, NRI services, customer support and more for a hassle-free purchase. You have the perfect luxury apartment right at your fingertips, so what are you waiting for? Another project from vtp developers, which offers a completely different experience and tilts more towards the luxury segment is VTP Celesta.